Since September of 2009, I’ve read all of these books by Henri J. M. Nouwen. 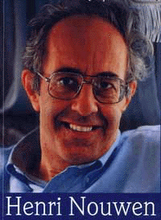 I’ve also read a couple of books about Nouwen. There have been a couple of times in my life when my mental or spiritual appetite was such that reading a book by one author struck such a chord that I had to read more. Just a few years ago this happened with leadership expert and allegorical business writer Patrick Lencioni. After reading one of his books, I wanted to read the next one. 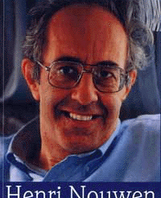 With Henri Nouwen, there was something deeper happening. Nouwen’s words spoke to my soul in a rare and powerful way. His experience with God raised a recollection in my spirit. A recollection that I had only begun to experience again after several years of dormancy. Dialogue with God. Having the need for a spiritual coach, director or mentor is real throughout our lives. For many, the local church does not provide the level of tutelage we need. Ultimately, we rely upon the Spirit of God to speak to our true self. But where do we start? How do we open ourselves to the voice of God? The community of faith is a community of sharing. Experiences, resources and stories are shared like the proverbial beggar sharing with his fellow travelers where to find bread. In a future post, I’ll share how God led me to a Nouwen book that helped shape my experience with God and my openness to Him. And, then, how my resonance with Nouwen’s writings led me closer to the heart of God. Suffice to say that God is near to us and desires to open our ears and hearts to His voice of love.